reflected in still, blue water. pop of sweetness on my tongue. Poet's Notes: If you have never tasted wild (lowbush) Maine blueberries, treat yourself to a trip to New England around August. 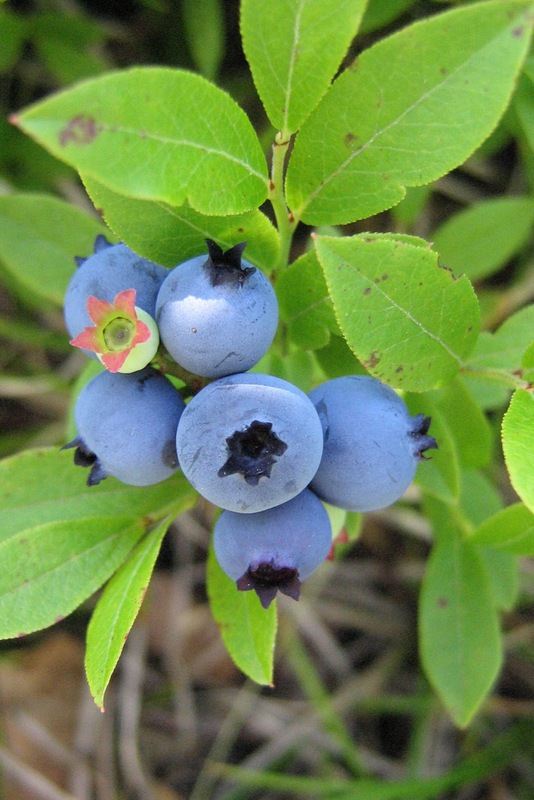 I have wonderful memories of picking berries as a child on Blue Hill in Massachusetts and the Blue Hill area in Maine. It was always so hard to drop the berries in my bucket and not my mouth. "Sweet on Blue" was one of my earliest publications and the defining moment of whether or not to pursue writing. I will always be grateful to Cynthia Brackett-Vincent, editor of the Aurorean, for her encouragement and support. Editor's Note: I find this one to be simple and sweet with a nice image at the end. "Sweet on Blue" was first published in the 2009 spring/summer issue of The Aurorean. A brief biography of Mrs. McBride may be found here: http://www.eretzsongs.blogspot.com/2015/07/poet-of-week-lauren-mcbride.html.